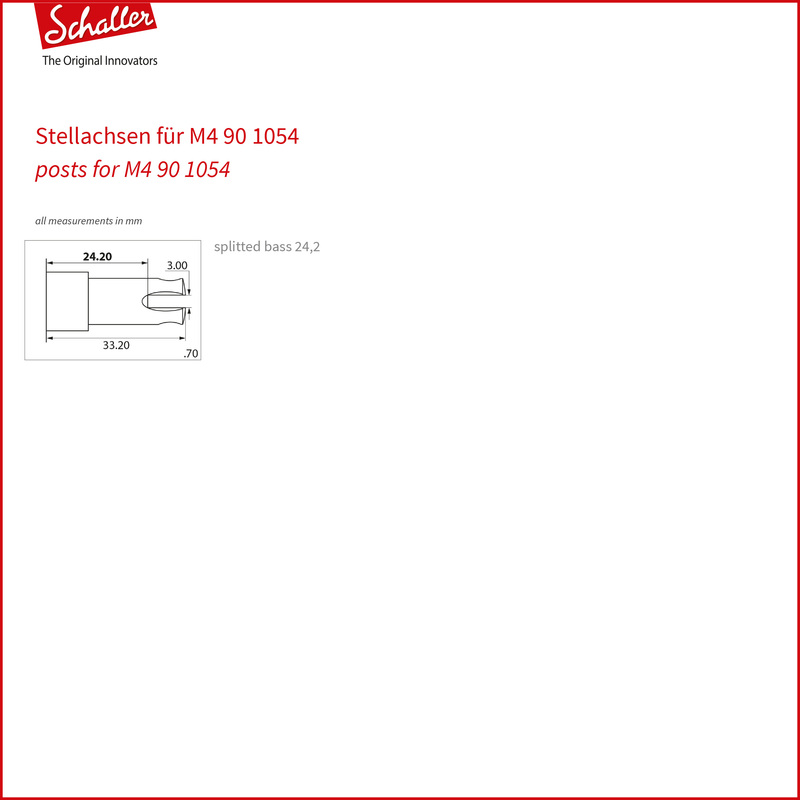 How do I find the suitable post for my machine head? We hereby declare that cancellation law shall not apply to contracts pertaining to the delivery of single tuners. 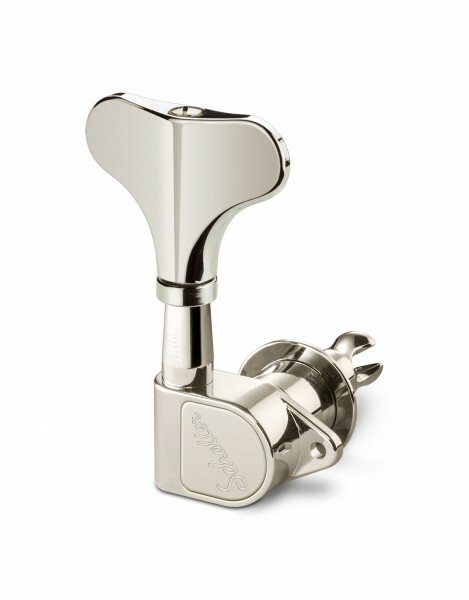 Elegance and Lightness for the Schaller Bass Age. Experience the lighter side of heavy duty. 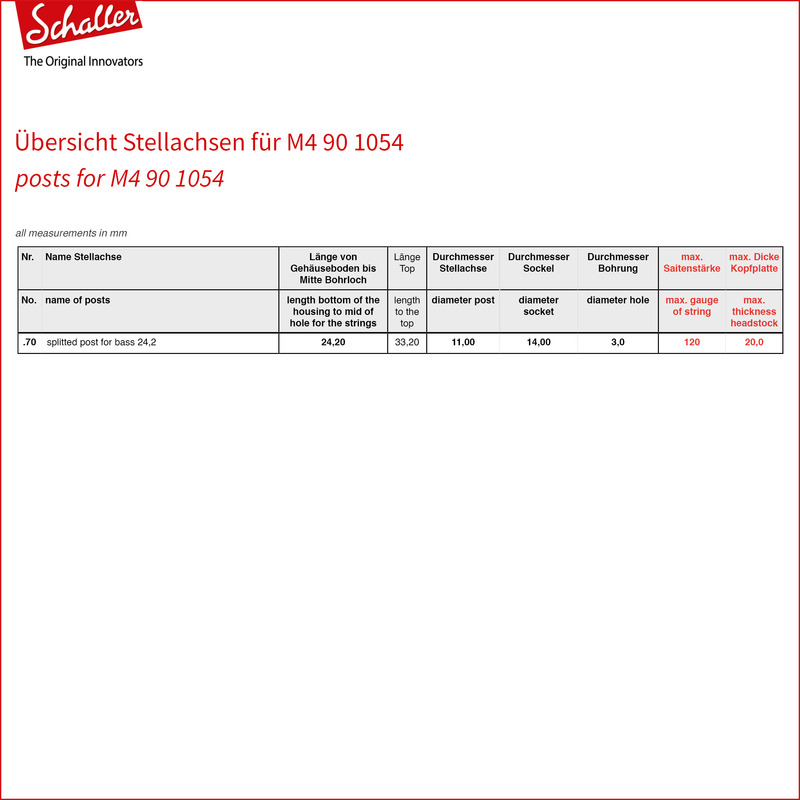 M4 90 (Light) - legendary Schaller quality at a stunning 40% less weight. M4 specs, looks and superior performance define this tuner as a true no-compromise where weight reduction is essential. 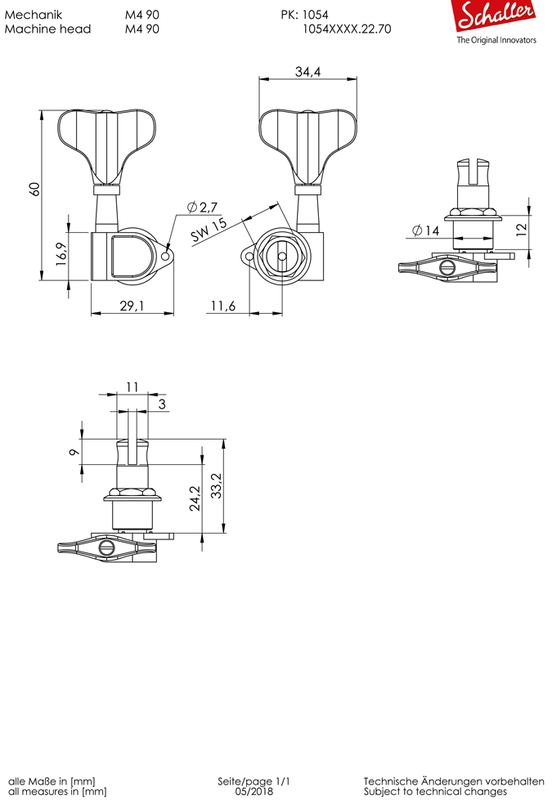 A special female screw guarantees precise positioning and fixing of the shaft. High gear ratio of 1:20 ensures a very precise tuning. 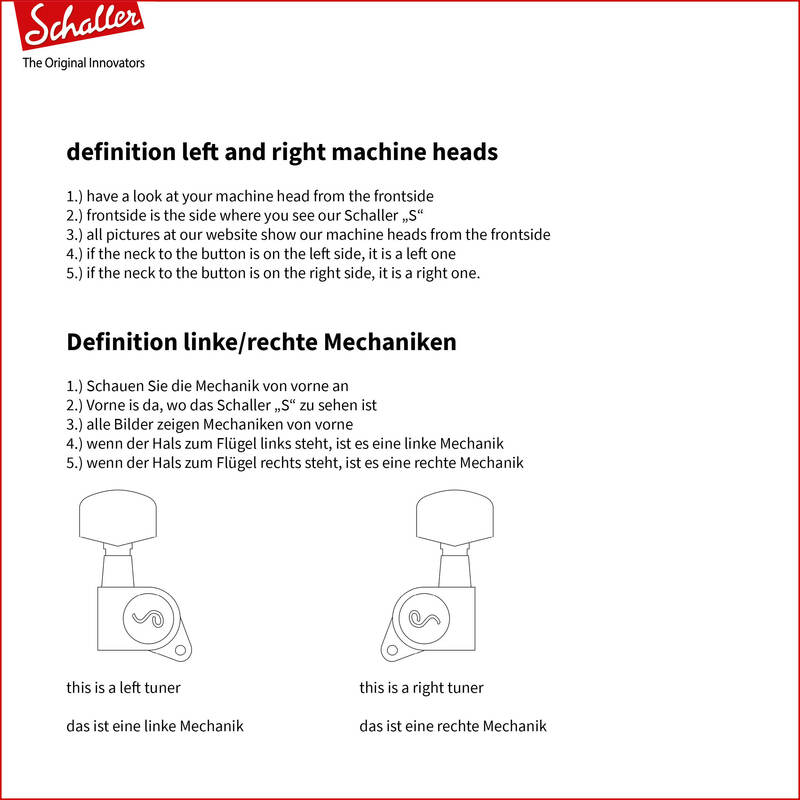 All sealed tuners are lubricated with Schaller special grease for lifetime maintenance-free service. All parts are precision-crafted and surface-finished, the self-locking drive ensures an even, delicate and steady tuning. All string posts are made of high-grade aluminium and fitted into the housing with utmost precision, ensuring the best possible tuning accuracy and wear resistance.